Originally posted here on July 11, 2002. If you want to post this elsewhere, please just link to this URL. Please also email me. 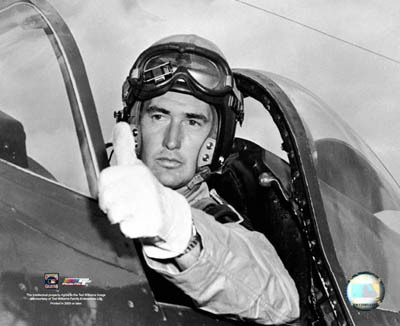 Last week’s passing of Boston Red Sox baseball legend Ted Williams has prompted me to deviate from commenting on the business of politics and focus instead on what happens in real life. My friends in the freedom movement frequently deride sports as insufficiently serious. Given the choice between watching a game and, say, watching a movie or reading a science fiction novel, I’ll watch a game anytime. Here’s why. 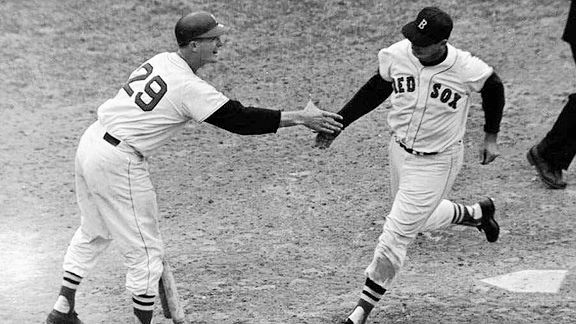 When Ted Williams was a 20-year-old rookie, he said, “All I want out of life is that when I walk down the street folks will say, ‘There goes the greatest hitter who ever lived. '” Many, if not most, experts consider him to be just that. He batted .344 for his career — no one has matched this in the 42 years since he retired. He batted .406 in 1941 — no one has hit .400 since. 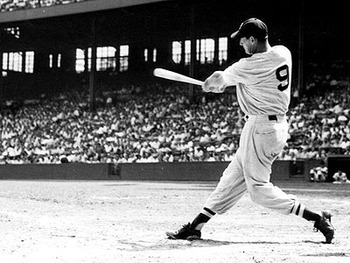 He won six batting titles, two Most Valuable Player awards, and two Triple Crowns (leading the league in home runs, runs batted in, and batting average in the same season). He holds the major league career record for on-base percentage. 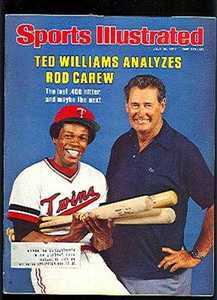 He hit 521 home runs. World War II and Korea made for two interruptions in Williams’ career. During these five years, Williams may well have hit 200 homers, and surpassed the Bambino. Williams served in the Marines as a pilot. (In Korea, he flew in a squadron with a not-yet-famous Marine named John Glenn.) Both times, Williams resumed his baseball career without missing a beat. The Marine Corps motto is Semper Fidelis, or “Semper Fi”, which is Latin for “Always Faithful.” Williams, as much as any athlete in history, was always faithful to his craft. Hitting a baseball is the most difficult thing in sports. The best of the best fail 65 percent of the time. 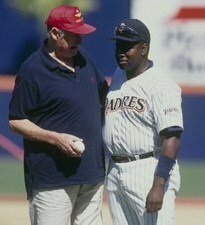 (Michael Jordan could not hit his weight in the minor leagues.) Williams was the best, because he worked the hardest. He made himself the best. The words “vocal” and “vocation” have the same Latin root. A vocation, properly understood, is a calling or a summons. Hitting was Williams’ calling. We should all be so faithful to those tasks for which we are gifted. Oh sure, I could go on and on about all the rotten stuff in sports today. I could talk about the possible baseball strike, the possible contraction of Major League Baseball, the tie in the All-Star Game, inflated salaries, greedy and spoiled players and owners, steroids, sexual promiscuity, illegitimate children, criminal records and so many other things. Let us leave that for another day. Williams’ significance in the history of baseball, and in American life in general, lay in his relentless and uncompromising pursuit of excellence. In his superlative book Men at Work: The Craft of Baseball, George Will wrote that, professional athletes may play games, but they do not play at them. Getting to the major leagues and staying there requires an extremely admirable level of dedication. Author and motivational speaker Zig Ziglar is fond of saying that “Spectacular success is always preceded by unspectacular preparation.” There is nothing glamorous about showing up an hour early for batting practice every day, doing pushups, lifting weights, running laps, sinking putts or hitting a blocking sled. There is nothing glamorous about missing a foul shot in the last seconds, costing your team the game, and then coming home and shooting 200 free throws before you go to bed. Yet this is what champions do. They do this because they know that if they don’t, who knows how many people are gunning for their job. As I write this, countless kids across America (and, in the case of baseball, across Latin America, Canada, Japan, and Korea) are lying awake at night dreaming of playing leftfieldah for the Red Sawx, pitching for the Dodgers, etc. As Nolan Ryan, whose strikeout records just may stand for the ages, once said in a commercial, “There is no off season anymore.” In Williams’ day, players did not get in shape until they reported for spring training. Not so in this day in age. Steroid rumors notwithstanding, today’s athletes make fitness a year round priority. Our knowledge about training and fitness and nutrition is far more advanced than it once was. I haven’t a clue as to Williams’ politics and, quite frankly, I don’t care. The media liked to whine about Michael Jordan’s “failure” to “speak out” on political and social issues. Yes, he supported fellow hoopster Bill Bradley in the 2000 presidential primaries, but other than that, he said next to nothing. This was his prerogative. If leaders in business, education, and other segments of society placed such a premium on excellence, my guess is that we would have far more peace and quiet in society. There ain’t no free lunch. And yet we constantly act as if there were. Even though no one owes us anything, we too frequently act as if everyone owes us everything. Thus, we want political “solutions” for absolutely everything. The answers are not in Washington, in the 50 statehouses around America, or down at city hall. We may find them in our families, at our jobs, and in our communities. What are you doing in your family, at your job, and in your community to make a difference? This is where the rubber hits the road. Are you the best doctor, plumber, salesman or parent you can be? If not, you had better not be waiting for some politician to pass a program to change things in your life. Because the sporting world is such an unforgiving meritocracy, the great athletes know that they must perform if they want to stay around. No one is going to perform for them. If only this ethos of excellence and personal accountability permeated all aspects of society. C.S. Lewis once likened the traditional understanding of education to old birds teaching young birds to fly. In sports, and especially in baseball, the fundamentals do not change. You can innovate and improvise all you want, but if you don’t do the basics, it is all for naught. The great athletes understand this. 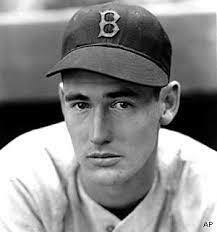 Which brings us back to Ted Williams. 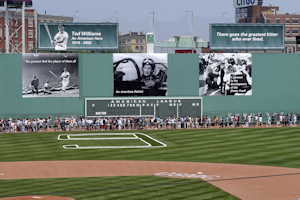 In baseball, more than in other sports, legends from the days of yore speak to us in the present day. Aspiring quarterbacks don’t sit at the feet of Sammy Baugh and aspiring hoopsters don’t ooh and aah over every word spoken by George Mikan. However, today’s aspiring baseball players can’t get enough of the wisdom of Teddy Ballgame, who was a superstar before Pearl Harbor. 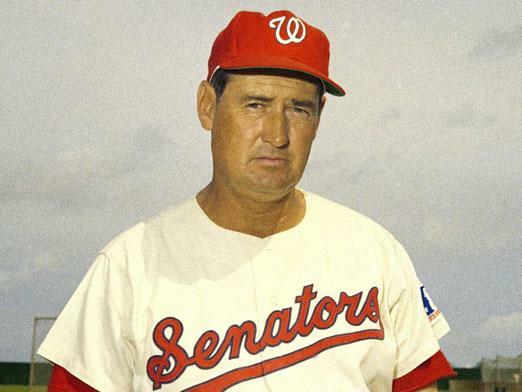 For years after he retired as a player (and after four mediocre years at the helm of the Washington Senators), Williams stayed around baseball. From the Yuma sandlots to Yankee Stadium, they came from far and wide to take in the wisdom of the Splendid Splinter himself. Why do we not have this same hunger for excellence in all that we do? 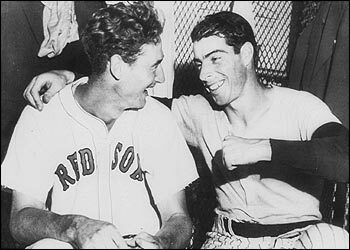 Throughout his career, much was made of Ted Williams’ personality flaws. He was what he was, a mere mortal. While his candor was refreshing, there were more gentlemanly players. (Lou Gehrig and Sandy Koufax come to mind.) However, we need more people in all walks of life with Williams’ passion, focus, and dedication. People who respond to their calling by pushing their gifts and talents to the limit. People who do the unspectacular basics to attain the spectacular results. People who are, in true Marine Corps fashion, semper fidelis — always faithful — to their callings. What is your calling? Are you listening? 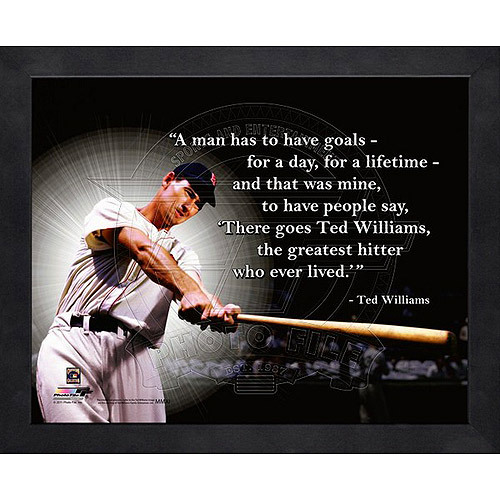 Are you always as faithful to your calling as Ted Williams was to his? 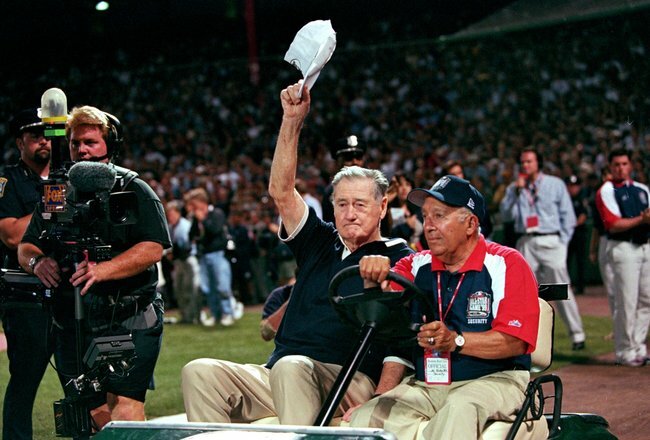 This entry was posted in Uncategorized and tagged baseball, fenway park, marines, red sox, ted williams. Bookmark the permalink.